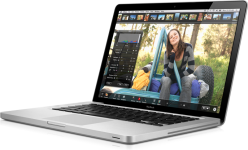 The incredibly thin and light MacBook from Apple is designed to give the user the ultimate experience. With its Retina display, super fast track-pad and long last lasting battery life, this notebook delivers a new level of performance. You can improve your MacBook’s speed and efficiency with a simple ram upgrade.